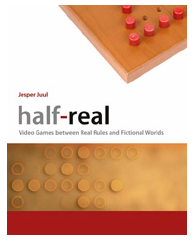 Leading Game Theorist and Author of the website and book, Half-Real, Jesper Juul was on Gamers on Game September 26, 2011 to talk about what are games, the impact of failure and do-overs in games, time in association with games and the future of game theory. He called in from New York City. 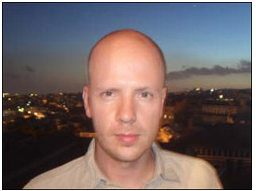 Jesper is a researcher at the Danish Design School and an affiliate at New York University Game Center. The website and book, published by MIT Press in 2005, Half-Real, work in tandem with each-other. In the website, Jesper has a a dictionary of video game theory. With the dictionary, he hopes to provide a resource for students, researchers, teachers, and game players looking for terminological clarifications and pointers to further reading. 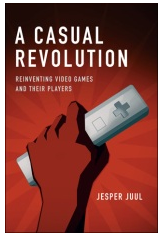 I came to know Jesper in 2007 when I was first researching video games and game theory. His dictionary was a boom to my studies and has the best definition of “games” that I found. The sentence should be seen as an evolution of game theory and is shown at the end after 7 other definitions such as Huzinga’s from 1950 . During the show we discussed each clause of this long and important sentence.